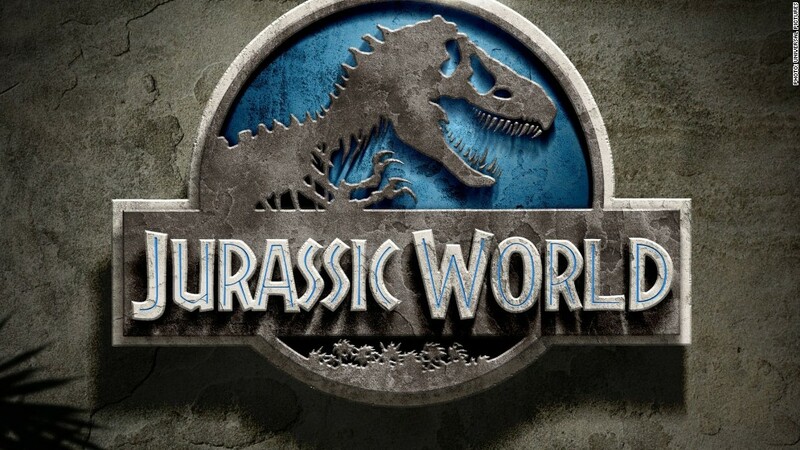 "Jurassic World" is on track to make more than $180 million at the domestic box office through Sunday, which would make it one of Hollywood's biggest opening weekends ever. Universal's film stomped Friday's box office with an estimated $82.8 million in ticket sales, a total that far surpassed the studio's expectations. To put the number into context, the year's biggest movie to date, "Avengers: Age of Ultron," brought in $84.5 million on its opening day back in May. 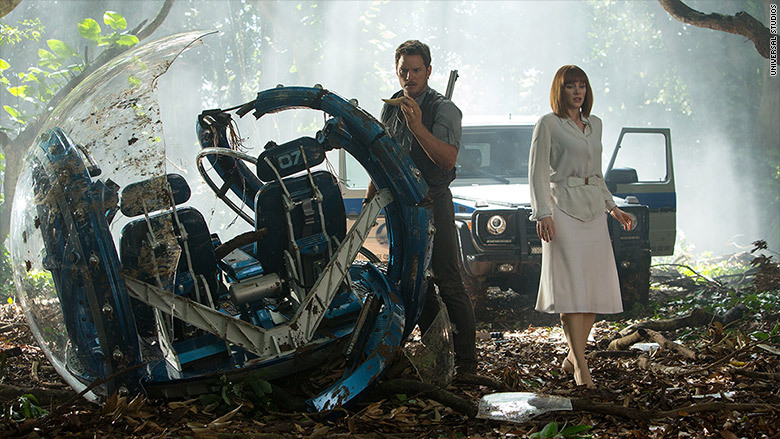 "Jurassic World" opened in over 4,200 theaters this weekend. It is the fourth film in the $2 billion franchise that started with 1993's classic "Jurassic Park." With Friday's higher-than-expected total, opening weekend projections have skyrocketed from $120 million a few days ago to $181 million or more now, according to industry sources. Some are even talking about a $200 million weekend. It would also set a new record for June by becoming the month's biggest opening weekend ever, passing the $116.6 million of 2013's "Man of Steel." So, yes, the battle for this weekend's record is between superheroes and a T-Rex. Chris Pratt is looking for dinosaurs and his biggest box office opening this weekend. If the new projections hold, "World" would also become the biggest opening for the film's star Chris Pratt, and by a wide margin. Pratt is currently one of the hottest commodities in Hollywood after a spectacular 2014, which saw the actor transform himself from the lovable blockhead Andy on the NBC sitcom "Parks and Recreation" to buff action hero. This was thanks to starring in the animated "The Lego Movie" and Marvel's "Guardians of the Galaxy," two of 2014's biggest hits. Those two films garnered the actor roughly $590 million at the box office last year. This haul was more than Pratt's previous 12 films combined. So while some may be heading to "Jurassic World" this weekend for the dinosaurs, some look to be going for Pratt. "He's just so relatable," said Paul Dergarabedian, a box office analyst for Rentrak (RENT). "He's probably already a household name to some, but 'Jurassic World' is just going to solidify that." As Friday's box office data poured in, Pratt wrote a Facebook post thanking fans of the movie. "It feels so wonderful to hear the overwhelmingly positive response," he wrote. He said his message was on behalf of the "thousands" of people involved in the making of "Jurassic World." "We are incredibly blessed and overcome with joy at the outcome of the movie and couldn't be more appreciative for the amazing support you've shown so far," he wrote. "This is bigger than all of us. Thank you, thank you, thank you!" Apart from its opening in the U.S., "World" is also opening in 66 international territories, including big markets like China and the United Kingdom. The film has so far brought in an international total of $130 million with $60 million overseas on Friday. That number is the highest-grossing international Friday ever for Universal. As for one of the biggest movie markets in the world, China, the film has made $50 million since it first opened there on Wednesday.